PAIN, FÉLIX, priest, Recollet, missionary; b. 1668 at Paris, France, son of “a successful merchant”; d. 27 Nov. 1741 at Quebec. Félix Pain joined the Recollets of the Saint-Denys province in Paris and was ordained about 1692. From 1694 to 1701 he served as garrison chaplain at Plaisance (Placentia, Nfld.). Governors Philippe Pastour* de Costebelle and Joseph de Monic* complained of his conduct which, Monic claimed, provided “much cause for reproach and dissatisfaction.” On one occasion Monic was driven to eject Pain from his house. Pain left Plaisance in 1701 when his community was replaced by Recollets of the province of Brittany. The Paris Recollets were invited to found a convent at Port-Royal (Annapolis Royal, N.S.) that year, and Félix Pain was appointed garrison chaplain. In 1702 the parish priest at Port-Royal, Abel Maudoux of the Séminaire des Missions Étrangères, was recalled after a decade of involvement in the petty contentions characteristic of Acadia at this time. Pain himself was not long removed from the local discord: his most noteworthy clash with local authorities occurred in January 1705 when, clandestinely and against the orders of the interim commander at Port-Royal, Simon-Pierre Denys* de Bonaventure, he celebrated the marriage of an officer of the garrison, François Du Pont* Duvivier, to Marie Mius d’Entremont, who was six months pregnant. Bonaventure had been sniped at in the preceding year by the local Recollets for his illicit alliance with Mme de Freneuse [Louise Guyon], and used Pain’s insubordination as an opportunity to take vengeance. According to Bonaventure, Pain had said that “he [Pain] took about as much notice of me as the mud on his shoes.” Pain’s defiance was mitigated by the fact that, although an officer required his commander’s formal permission to marry, marriages such as Duvivier’s were expedited to avoid an illegitimate birth. A routine forced marriage, unlikely to be noticed outside the gossipy confines of Port-Royal, was now transformed into a celebrated affair; it earned Pain severe reprimands from the minister of Marine and his own order, and also severely injured Bonaventure’s career. Pain continued to serve at Port-Royal until its capture in 1710 by English forces under Francis Nicholson*. He then became missionary for the Minas (Wolfville) and Beaubassin (Amherst) regions. As early as 1721 he is referred to as “superior of the Recollets of Acadia.” Pain seems to have served his charges well, guiding the Acadian community as best he could through the perilous diplomatic morass into which they were thrown by the treaty of Utrecht. On the one hand he protected the Acadians from the excesses of the French policy of having them remain loyal to faith and flag, journeying many times to Louisbourg in his efforts to prevent wholesale removal of the Acadians to Île Royale (Cape Breton Island), a notoriously inhospitable land. On the other hand, he stoutly resisted the British insistence on unconditional allegiance to the crown by the Acadians remaining in Nova Scotia. In 1725 Pain left Nova Scotia and began ministering to the Acadians of Île Saint-Jean (Prince Edward Island), undoubtedly as much because of difficulties with Governor Lawrence Armstrong* as because no missionary had yet been assigned to the island. Pain’s presence is recorded at Île Saint-Jean at various times between July 1725 and July 1731. In 1727 the governor of Île Royale, Saint-Ovide [Monbeton], expressed the hope that Pain’s good offices would help attract more Acadian emigrants. When Félix Pain left the Île Saint-Jean mission in July 1731, he went to serve at Louisbourg and retired from the active ministry in 1733. Though he might have preferred to live out his life in France, his advanced age and his fear of travel on the high seas compelled him to retire to Quebec. He served there from age 65 to his death in 1741 in the less arduous post of superior of the Recollets of New France. AN, Col., B, 27, ff.3v–4; C11B, 6, ff.8, 102–3; 9, f.52; 13, f.26; C11C, 2, f.170v; 3, f.154; 5, f.154; 7, ff.223v–24; C11D, 4, ff.165–65v, 258; 5, ff.105–6v, 221–21v, p.313 (PAC transcript); Section Outre-Mer, G1, 411. Archives des Franciscains (Montréal), Table générale de tous les religieux morts depuis l’érection de la province. PAC, MG 11, Nova Scotia A, 17, p.159. PANS, RG 1, 26. Coll. doc. inédits Canada et Amérique, I, 116–18. N.S. Archives, III, 69–73, 89–90. Allaire, Dictionnaire, I, 408. Ivanhoë Caron, “Liste des prêtres séculiers et religieux qui ont exercé le saint ministère en Nouvelle-France (1680–1690),” BRH, XLVII (1941), 264–65. Johnson, Apôtres ou agitateurs, 143. Harvey, French régime in P.E.I., 240. 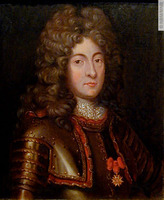 Robert Le Blant, Un colonial sous Louis XIV: Philippe de Pastour de Costebelle, gouverneur de Terre-Neuve puis de l’île Royale, 1661–1717 (Paris, Dax, 1935), 93–94, 171, 186. Mgr de Saint-Vallier et l’Hôpital Général, 712. “Profiles franciscains; le Père Félix Pain,” Revue Franciscaine (Montréal), XLIII (1927); XLIV (1928). [F.-E.] Rameau de Saint-Père, Une colonie féodale en Amérique: l’Acadie (1604–1881) (2v., Paris, Montréal, 1889), I, 403–11. Bernard Pothier, “PAIN, FÉLIX,” in Dictionary of Canadian Biography, vol. 3, University of Toronto/Université Laval, 2003–, accessed April 24, 2019, http://www.biographi.ca/en/bio/pain_felix_3E.html.